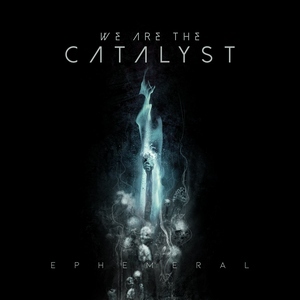 Growing and building momentum over their last two releases, particularly on 2016’s Elevation, We Are the Catalyst find themselves in a good spot moving into album number three, Ephemeral. Where Elevation saw some added maturity and variety in songwriting, Ephemeral takes the strongest parts of said release and cranks them up tenfold. Leaving the band a force to be reckoned with in the alternative/modern metal world. Each track on Ephemeral seems to hit a certain sweet spot with its own characteristics. They can go from driving, dark metallic riffs with some almost industrial backing to them (“Predators”) to punchy rock-laced cuts (“Over Pale Waters”) to more poignant and sorrowful moments (“Without You”) without a loss in quality, or catchiness for that matter. What’s more important is that the riffs matter. With the more modern metal side of things, there’s a push to move into more mainstream, vocal-based territory with a downgrade on the instrumental aspects. But songs like “Breathing Black” and “The Broken” have memorable riffs and synth components, along with some notable drumming that helps make the band more well-rounded. Even a more melodic song like “Dust” avoids cheesy, clichéd territory because there’s more going on besides just a vocal-driven performance. When it comes to the vocals though, Cat Fey simply shines. Able to bring some grace to heavier cuts like “In Shadows” with addictive vocals hooks (aided with some occasional backing screams for more potency at the right moments) and stand tall on more rock-based songs like “Coming Home” with lyrics that feel genuine and sincere. Something that elevates a song like “Where the Mountain Stands” into a moving ballad-y cut with plenty of heart. The light in the darkness vibes (nicely illustrated on the cover) are elegantly done, hitting plenty of emotional resonance and keeping the album fresh and interesting long past the initial hooks sink their claws in. A whole band effort that rises higher than the sum of its parts, Ephemeral packs a strong punch for those who want a combination of sincere passion coupled with punchy riffs and melodies. Mark We Are the Catalyst as a real rising act in this genre, as they can check off all the required boxes but find a way to stay fresh and resilient with twists and turns that keep you captivated from beginning to end.